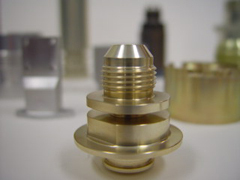 OMIKRON Engineering, Inc. offers our customers PRECISION, PERFORMANCE & PERFECTION to develop Perfect Parts! 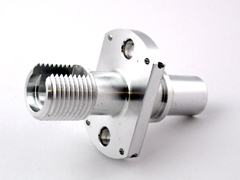 Prototype through High-Volume; Single Parts, Assemblies and Kitting. Over the last 50+ years, spanning two generations, Omikron Engineering, Inc. has steadily grown from its humble beginnings in an 800 sq. ft. shop to now, occupying 15,000 sq. ft. in state-of-the-art manufacturing facilities. Omikron Engineering, Inc. employs over 30 highly-skilled machinists, programmers, inspection and office personnel. Through its growth from only manual machinery, to the addition of the latest in CNC machinery, Omikron Engineering, Inc. has created a unique blend of old-world craftsmanship combined with the newest manufacturing technology, offering true craftsman quality in a lean production environment. Unwavering commitment and enthusiasm from our highly-dedicated team allows Omikron Engineering, Inc. to achieve and maintain our ISO9001:2015 with AS9100D certification status. 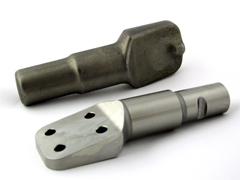 The team at Omikron Engineering, Inc. will accept nothing less than “Precision, Performance & Perfection”. It sets us apart from the rest. 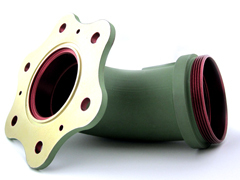 Omikron Engineering, Inc. expects to be your #1 choice to deliver Perfect Parts.